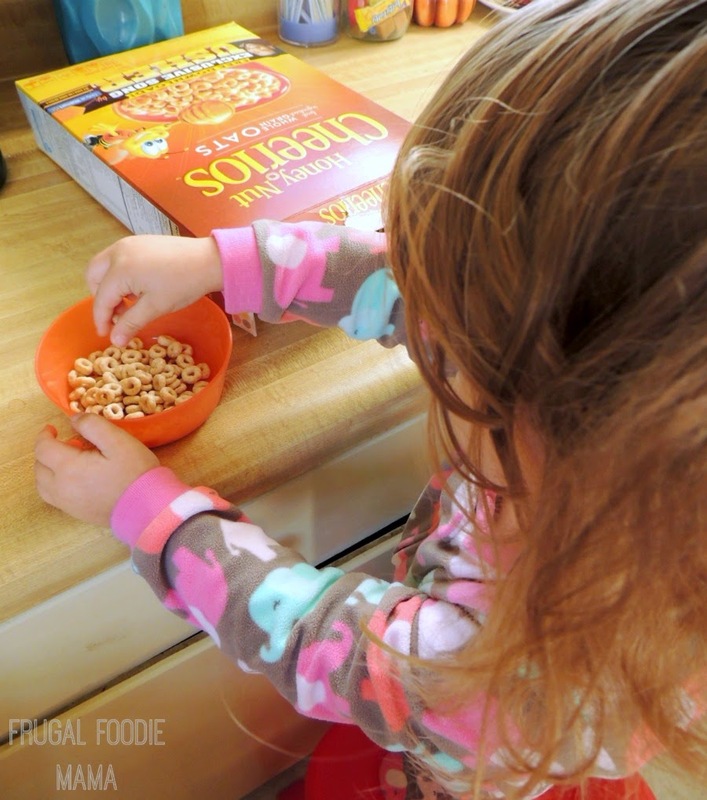 A big thanks to the folks at General Mills for sponsoring and providing the tasty and fun inspiration for today's post. All opinions expressed below are my own. Have you all ever wondered what the morning of a blogger really looks like? Most of my mornings actually look exactly like what you see pictured above. A cup of hot coffee and a bowl of cold cereal... and my laptop. Almost every breakfast for me is a "working" breakfast. I enjoy a few cups of coffee while returning emails, scheduling social media posts for the day, checking in with my blogger friends on Facebook, editing photos, and whatever else happens to be on my blogging to-do list for that morning. I have been a long-time fan of Usher, and his brand new single doesn't disappoint. It definitely gave my usual morning routine the little kick of energy and fun that it needed! But don't go rushing on over to your favorite music download site or app to find it, folks. The download code for this new hit single from Usher is only available inside specially marked boxes of Honey Nut Cheerios you can find exclusively at your local Walmart. 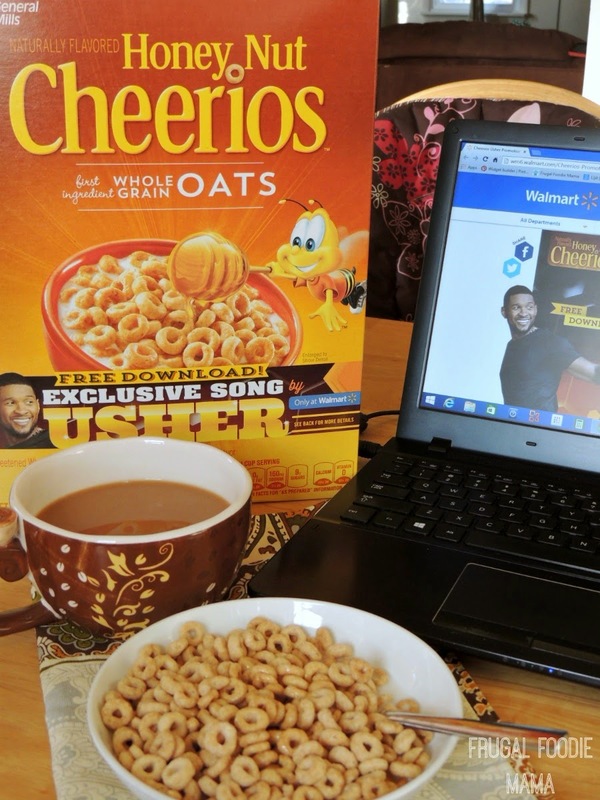 Mornings in this house are now fueled with fun and dancing thanks to Honey Nut Cheerios and Usher! How do you fuel your mornings and get your day started off right? Which ways do you shake up your usual morning routine? 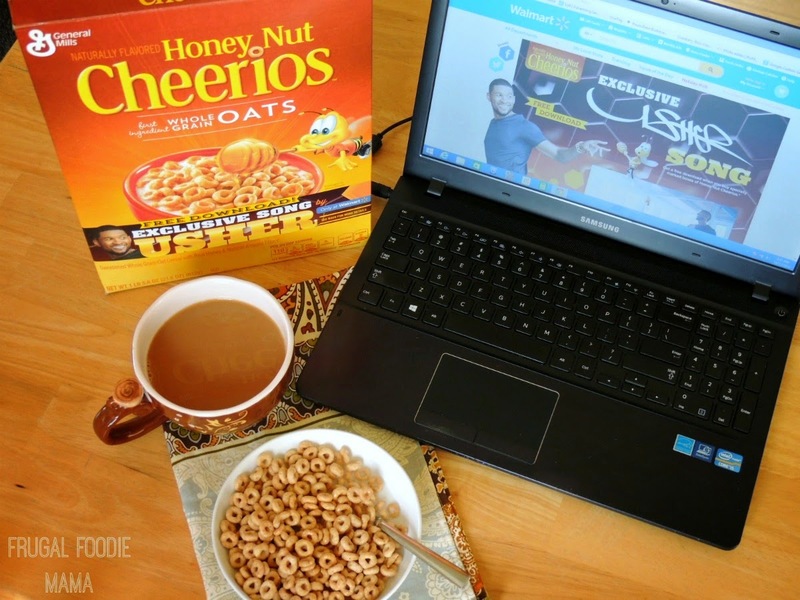 Be sure to CLICK HERE to learn more about the Honey Nut Cheerios and Usher song promotion & to snag a $1 off coupon! **Available at exclusively at Walmart locations nationwide from now until December 31, 2014.